About as suburban as you can get, Simon grew up on the southside of Brisbane, began a career as a teacher in 2003 and has been writing poetry since 2012. In 2013, Simon has flung himself into the Brisbane spoken word scene and is currently working on developing a performance poetry crew of ruffian teenagers at a major metropolitan high school. Watch out for them. 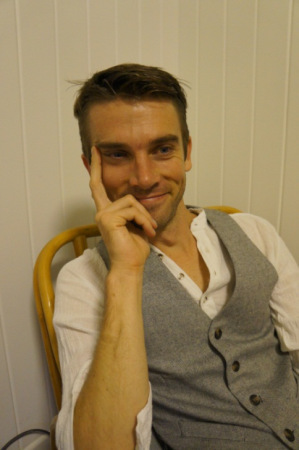 Simon has performed at the Brisbane Emerging Arts Festival (2013), was selected as a SpeedPoets call back poet (2013) and once won some strawberry jam at Jamjar Slam. edges fraying into ghosts of Elysian Fields. singing for the slick and honey wet. to drink the sky from red and flashing gills. before we drowned in air. I hope there are many poets reading this, and sharpening their poems for submission to Brisbane New Voices V. I’m ready to read! The Brisbane New Voices series is something I am incredibly proud of. So far I have had the privilege of working with Jonathan Hadwen, Fiona Privitera, Chris Lynch, John Koenig, Carmen Leigh-Keates, Vanessa Page, Trudie Murrell and Vuong Pham; a stellar line up indeed! Next year will see the series celebrating it’s 5th anniversary, so to keep things fresh and interesting, a special edition featuring five Brisbane poets will be published and launched in the first half of 2014. Planning for Brisbane New Voices V is underway and two poets have already been selected for publication. I will be announcing the first of these two poets later this week, so be sure to keep an eye on the site. That leaves three places in the final publication, so it is with great excitement that I am, for the first time ever, accepting submissions for Brisbane New Voices. Entrants must reside in the city of Brisbane. Entrants must not have previously published (including self-published) a collection of poems sixteen (16) or more pages in length. Submissions marked ‘Brisbane New Voices V’ should be posted to Graham Nunn, 86 Hawkwood St. Mt. Gravatt East, Brisbane QLD 4122. Submissions should include between 15 A4 pages and 20 A4 pages of poetry. Each new poem must start a new page. If the poet is submitting haiku or other short poems (no more than 10 lines), please place no more than three haiku / two short poems per page. All submissions should include a cover letter that includes the following information – Name, email, postal address, phone number, short biography (no more than 80 words) and a brief introduction to your poems. The cover page is not included in the total pages of poetry submitted. Poems should be typed in an easily readable 12 point font (e.g. Times New Roman) with 1.5 line spacing. All poems submitted must be the entrant’s original work. Submissions will not be returned. The author’s name, email address and postal address must appear on every page of the submission. Prior publication of individual poems in literary journals and newspapers is encouraged. An acknowledgements page should be included with the manuscript, listing all the poems previously published and where they have first appeared. This includes on-line publication and any broadcast performance (radio or television). The acknowledgements page is not included in the total pages of poetry submitted. Poets may submit only one entry to ‘Brisbane New Voices V’. Three submissions will be accepted for publication in ‘Brisbane New Voices V’. If selected, the poet will be required to engage in an editorial process to prepare no more than ten pages of poetry for the final publication. Deadline for submissions is Friday September 27, 2013. Submissions received after this date, but postmarked on or before September 27, 2013 will be accepted. The editor’s decision is final and no correspondence will be entered into. The editor reserves the right not to select any of the submissions received. A decision will be made by October 31, 2013. All poets will be advised of the result via email 24 hours prior to the results being published on http://www.anotherlostshark.com in November, 2013. 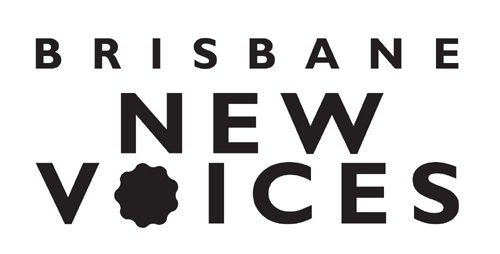 ‘Brisbane New Voices V’ will be published in early 2014 and launched in the first half of the year. There is no submission fee to ‘Brisbane New Voices V’. Any questions about the guidelines should be emailed to geenunn(at)yahoo.com.au. I am looking forward to the reading ahead and hope that many of you will get behind this and help to spread the word wide and far.